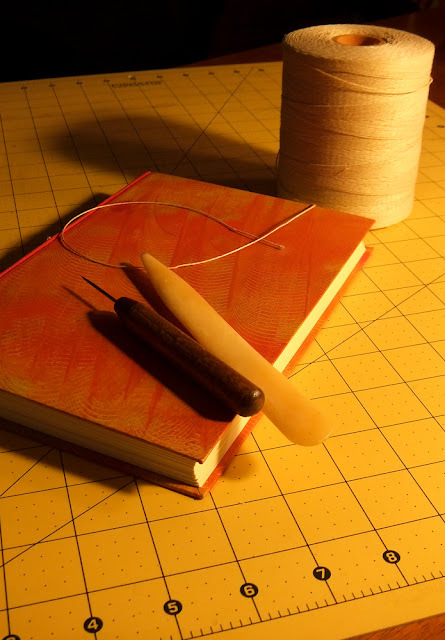 The Press of Robert LoMascolo: Bookbinding Workshop! I am offering my bookbinding workshop again! I only do these classes because I enjoy teaching them, and I know you will enjoy it too, not to mention, you get to take home a really nice product at the end. “Make a Journal or Sketchbook” is 4 sessions, held from 5:30-7:30 on 3/7, 3/14, 3/21, 3/28 at A. J. Smith Elementary School in Union Springs, New York. Materials Fee of $20 payable to the instructor will be collected during the first session. All materials will be provided. Registration fee is $25. I am happy to directly answer any questions about the class: rlomascolo@gmx.com.